On my 2nd day in New York City I wandered up 5th Avenue for a spot of shopping on my way to Central Park. 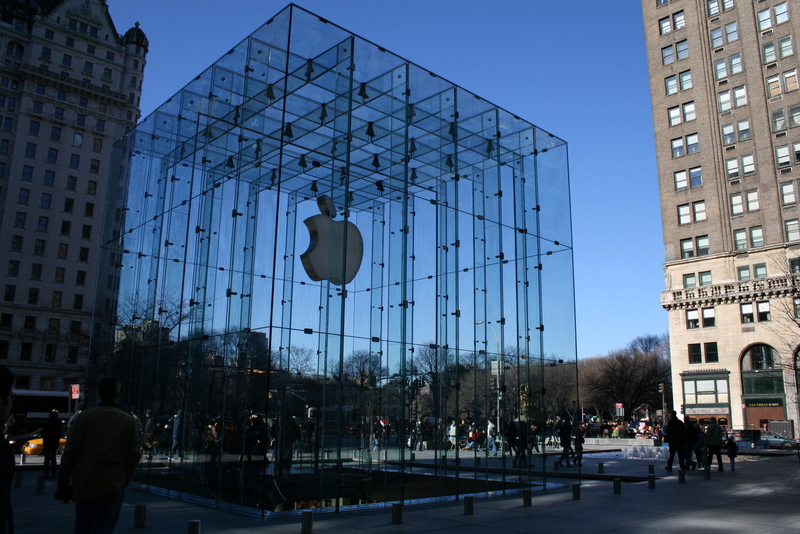 Just before I reached the park I saw the most beautiful Apple Store I’ve ever visited (in case you hadn’t already noticed, I’m a huge Apple fan). All shiny and made entirely of glass, this box stood above ground with a spiral staircase leading underground to the store. I’ve been in a lot of Apple’s Retail Stores all over the world and this one is by far my favourite!